Being one of the eminent entities, we are instrumental in offering Ingot Casting Machine. We carry out our operations from Rajasthan, India. 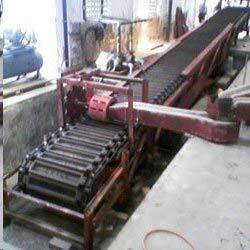 It is widely used by various industries for suitable applications. We can conveniently customise it as per the typical requirements of our clients. Our expert professionals fabricate it by adopting the advanced machines and equipment, at par with the guidelines and norms laid down by the industry. It is highly acknowledged for its robust structure, hassle-free operations, and faultless performance.